Consumers can positively contribute to the future of mobility and earn MOV while doing so. Share your mobility data to help with urban planning or to build the next autonomous vehicle. Get instantly rewarded with MOV tokens that can be used on your next gas bill or with corporate partners. build a future of safer & smarter mobility. building new mobility services that would save consumers both time and money. fleet management companies, and car manufacturers. be rewarded for your data. build a safer, smarter, more convenient, and more efficient future in mobility. program where consumers can earn MOV tokens and redeem benefits. Consumers will earn MOV tokens depending on the quality and quantity of mobility data shared. Moveco’s founders Lawrence & XT raised funding for Cove from InMotion Ventures (Jaguar Land Rover’s investment arm). Developed technology device Drivebox V1. Drivebox was tested & installed in Jaguar and Land Rover vehicles through Cove. Worked with largest dealership in HK to test Drivebox in various brands of cars eg. INFINITI & Nissan. Started building data insights through Cove / Began engaging corporate cus- tomers interested in Drivebox. Lawrence & XT joined the INFINITI 3.0 ac- celerator program in Hong Kong and worked closely to develop our technologies through Cove. Began partnership building for Moveco app (Mobility corporates & redemption platform partners). Started development of Moveco pilot app (to be tested with controlled amount of users). Launch of Private token sale. Integrate with Cove’s payment channels. Built partnerships with potential data users. Launch of Pre-sale to Corporate partners. Launch of redemption platform for pilot. Launch of Moveco app beta. Expand team (key roles - data scientists, business development manager & developers). 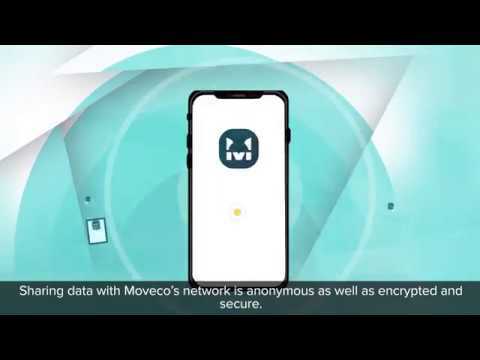 Release of Moveco App v1. Launch of Moveco Data Hub. Launch of Moveco Data Insights platform. Expand partnerships & team outside of Asia.